« Protect Organic Integrity; Comments Due March 30! In its review, EPA has determined that the toxicological endpoints of dietary exposure under the allowed tolerances meet the safety standard of the Federal Food, Drug and Cosmetic Act, but does not consider the public health impact of bacterial resistance to consumers, including sensitive populations such as children. Responding to a request from the Florida Department of Agriculture and Consumer Services to use its authority under Section 18 of the Federal Insecticide, Fungicide, and Rodenticide Act (FIFRA), EPA granted the exemption despite evidence that antibiotic use in agriculture increases bacterial resistance to life-saving medicines. This move by EPA is not uncharacteristic, however, as the agency has oft abused the emergency exemption clause in response to predictable insect, weed, and fungal resistance in chemical-intensive pest management. Under Section 18 of FIFRA, otherwise known as the emergency exemption program, EPA allows the use of pesticides that are not registered for a particular crop, or in some cases not registered for use at all. Once approved, EPA then sets tolerances for affected crops that are time-limited, usually for the season in which they are allowed. The use of Section 18 exemptions exemplifies EPA’s practice of allowing increasing dependency on highly toxic pesticides in agricultural systems that are predictably unsustainable, harmful to people and the environment, and for which there are safe alternatives. According to pest managers, this situation is the same toxic treadmill and thinking that is ushering in new 2,4-D-tolerant corn to replace Roundup Ready corn. Beyond Pesticides is of firm resolve that emergency exemptions and the use of increasingly toxic herbicides must not be the norm for communities and the environment. Typically registered for apples, peaches and pears, streptomycin is an antibiotic that is used by humans to treat bacterial infections, making its use in food troublesome for those concerned with antimicrobial resistance. 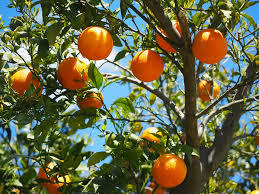 The decision by EPA to allow streptomycin to be used on oranges in Florida, which applies to both fresh fruit and dried pulp, increases the likelihood of human exposure to antibiotics, as Florida oranges are consumed throughout the U.S. and, beyond food residues, resistant bacteria move through the environment and create resistance in human pathogens. EPA’s approval is based on USDA predictions that Florida’s orange harvest will be extremely low this year, about only half of what the crop was five years ago due to citrus greening. Under Section 18, state applications must prove unpredictable economic harm due to a pest problem. Instead of looking at the root causes of the low harvest and focusing on improving soil and organic systems, thus eliminating unnecessary pesticides, growers turned to EPA to issue the emergency exemption and allow the use of streptomycin in an attempt to find a short-term fix. Concerns over the use of antibiotics in food production and its impact on antibiotic resistance in humans grown exponentially in recent years. Last year the United Nations (UN) General Assembly, comprised of delegates from 193 countries, gathered to address the alarming rise of antibiotic resistance. Prior to this historic meeting, the international body had only convened health-related meetings on three other issues: Ebola, HIV, and noncommunicable diseases. According to the World Health Organization, which collaborates with the UN on health-related priorities, “Antimicrobial resistance has become one of the biggest threats to global health, food security, and development today.” At this high-profile meeting, Heads of State and Heads of Delegations addressed the urgency of the situation and discussed multisectoral approaches to addressing antimicrobial resistance. Beyond Pesticides most recently addressed this issue in its quarterly Pesticides and You journal with the report Agricultural uses of Antibiotics Escalate Bacterial Resistance. The report looks at the structure of antibiotic regulation between EPA, the Federal Drug Administration (FDA) and the United States Department of Agriculture (USDA). Within those three agencies, FDA regulates antibiotics used as animal drugs, EPA regulates those used as pesticides, and USDA is responsible for conducting residue testing on animal products and other food products with established residue tolerance levels. EPA’s assessment of pesticide risks generally addresses risks associated with direct exposure of humans to the pesticide. For streptomycin, “The assessment concluded that the possibility of antibiotic resistance resulting in adverse human health consequences was of medium concern following occupational application and was of high concern following application by residential users.” However, the agency does not consider concerns raised by the Infectious Disease Society of America and researchers of bacterial resistance about the mechanism of horizontal gene transfer (HGT) through the environment as a critical means of developing human pathogens that are resistant to bacteria. It may not be widely appreciated that use of antibiotics on fruit trees can contribute to resistance to the antibiotic in human pathogens. The human pathogenic organisms themselves do not need to be sprayed by the antibiotic because movement of genes in bacteria is not solely “vertical,” that is from parent to progeny—but can be “horizontal”— from one bacterial species to another. The basic mechanism is as follows. If bacteria on the plants and in the soil are sprayed with an antibiotic, those with genes for resistance to the chemical increase compared to those susceptible to the antibiotic. Resistance genes currently exist for streptomycin, and spraying with these chemicals increases the frequency of resistant genotypes by killing those susceptible to the antibiotic and leaving the others. Those genes may be taken up by other bacteria through a number of mechanisms, collectively known as HGT. Certified organic citrus may not be grown with antibiotics. Overall the report calls for (i) stringent regulations to eliminate use of antibiotics in food production, which leads to antibiotic resistance, residues in manure, and contamination of waterways, and (ii) a widespread shift to certified organic food production, which prohibits all antibiotics. The National Organic Standards Board (NOSB) moved to eliminate the last allowed use in organic crop production, on apples and pears, in 2013. A fully cited version of this report, featured in Pesticides and You, is available at bit.ly/PAYantibiotics. This entry was posted on Monday, March 20th, 2017 at 12:00 am	and is filed under Antibacterial, Environmental Protection Agency (EPA), Resistance. You can follow any responses to this entry through the RSS 2.0 feed. You can skip to the end and leave a response. Pinging is currently not allowed.